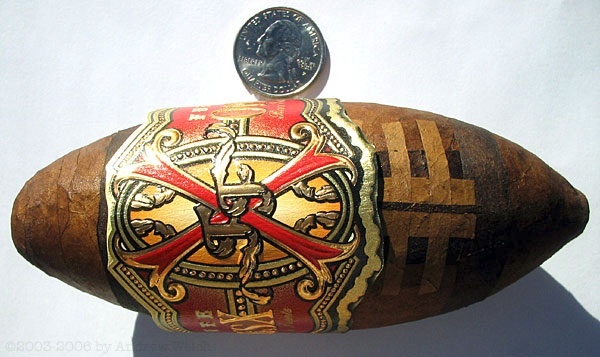 This cigar comes in at 6 inches with a 48 ring gauge. It has a Nicaraguan Binder and Filler with a Colorado Maduro Wrapper. Throughtout its aging process, this cigar has kept its dark caramel shade and its very toothy appearance. The cigar did not ever develop any plume. 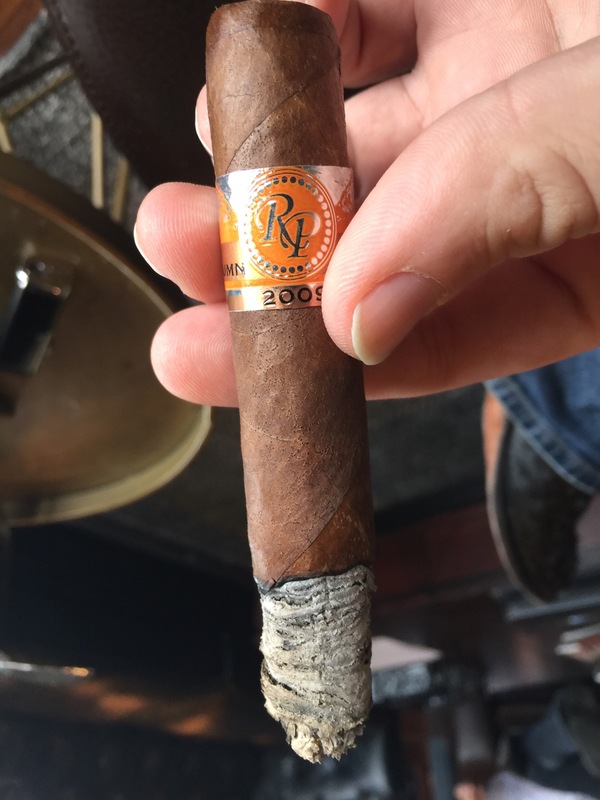 Although Rocky Patel isnt my favorite brand of cigar, I have to give them credit for their consistantly flawless construction. Right off the bat this cigar is amazing. Aged tobacco fills my pallet. Its like being knocked over by a feather. Its difficult to reveiw aged cigars because the taste of fine aged tobacco is overwhelming but there is a fair amount of spice that is coming through in the first third. This cigar has no problems when taking your time with it. 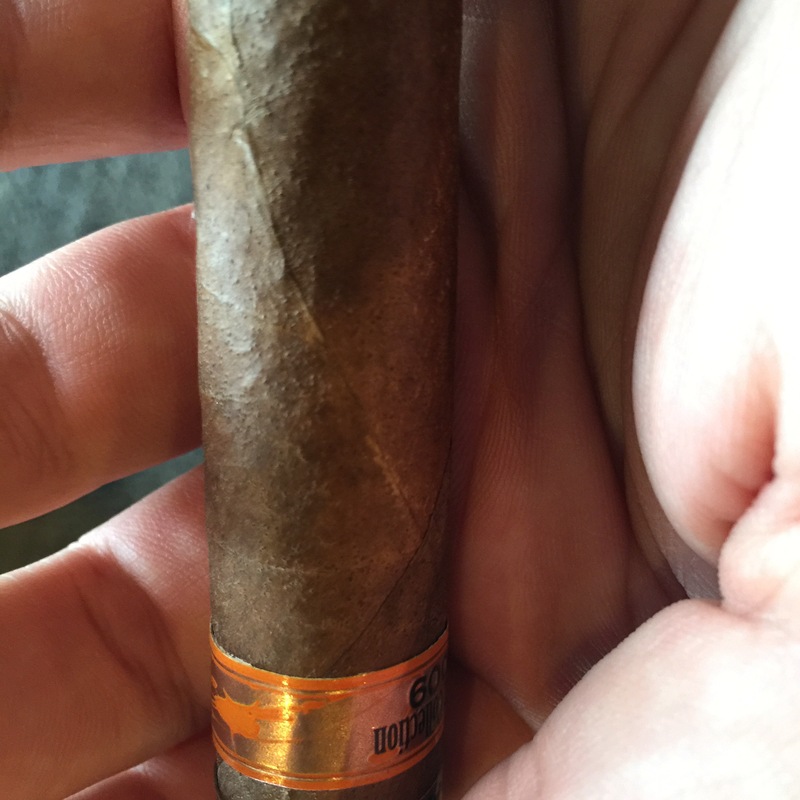 Taking minutes between puffs, this cigar delivers delicious mouthfulls of smoke every time. The ash is splitting down the middle but it appears to be hanging on quite well. The ash is snow white with some touches of grey. As with the fine craftmanship that goes into the making of a Rocky, the burn is straight. The ash holds for about an inch before falling off. As we progress into the second 3rd of the cigar I begin to pick up a little sweetness mixed with the overwhelming flavor of age. Notes of cedar are creeping in, most likely from the 7 foot tall spanish cedar humidor that has been this cigar’s home for the past 5 years. Creamy, buttery notes are apparant. I generally buy two of every cigar I purchase. 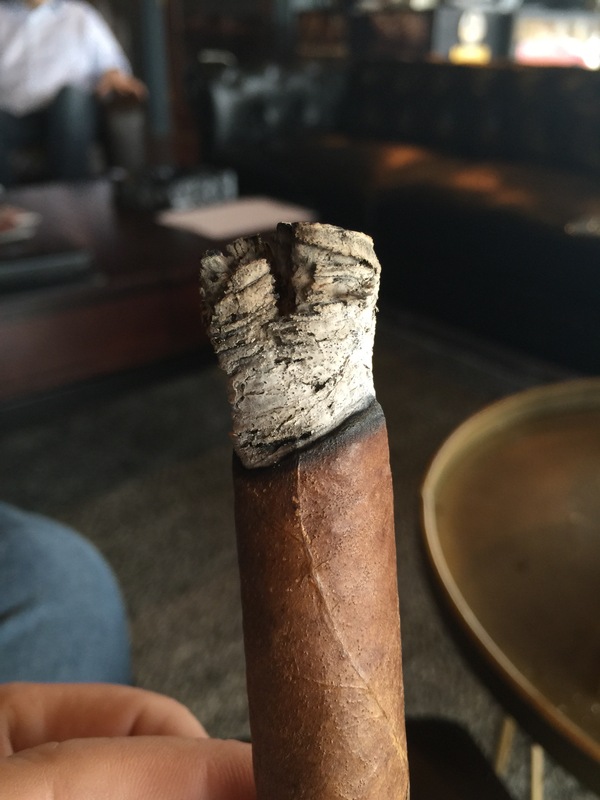 This cigar’s sibling from five years ago had hints of bitterness and packed quite a bite. The aging process has taken care of most of that. However, the cigar still has some of the flavor profile associated with the Autumn Collection. I cannot express how smooth this cigar is. I’ve set the cigar down a few times to grab a drink and take a restroom break. Each time I come back to it I get a fresh draw. 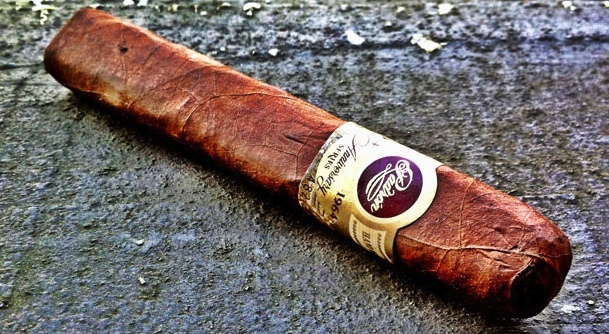 This is a cigar that allows you to take your time without worrying about relights. We’re about an hour in to this cigar and we’re still not through the 2nd third. As we get into the last third some of the smooth, aged flavor profile begins to fade. There’s a little bite as the oils start to draw in. However, it still retains some of the velvety texture; think Davidoff with a little more spice. Sadly, as the last third progresses every few draws brings that dreaded amonia taste. I fear my time with my oldest friend is coming to an end. I will continue to take my time and give it a minute between draws. The amonia persists but I’m not giving up on it yet. In between the amonia hits I’m getting a piney, woodsy flavor resembling this cigar when it was new. Slowing down on the cigar from already using the speed of a turtle helps the amonia taste a little but it is still coming through. I fear my time with this cigar has come to an end. I’m disapointed that the final third is a bust. Although the first and second thirds were fantastic, this can easily be achieved by aging almost any cigar. 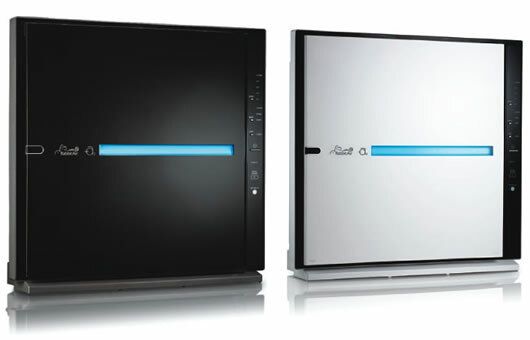 Its simply unforgivable to me that there is virtually no enjoyment on the last third. Sadly, I cannot recommend this cigar either for smoking immediately or for aging. You dont have to worry about that though. With this being a 2009, you wont be able to find one anyway. If you’re a Rocky fan, stick to the Edge or something you know. Rocky tends to produce way too many cigars in my opinion. 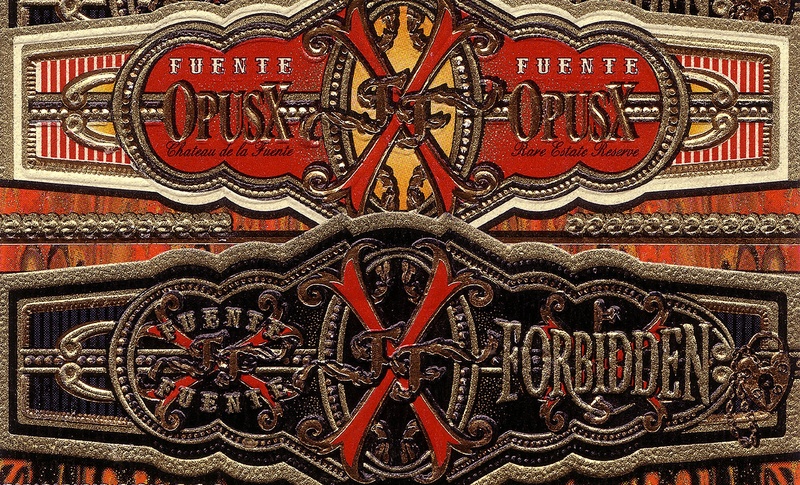 I stick with Fuentes, Camachos and Padrons who execute a few blends flawlessly instead of putting out 30 different blends and hoping one is a hit.